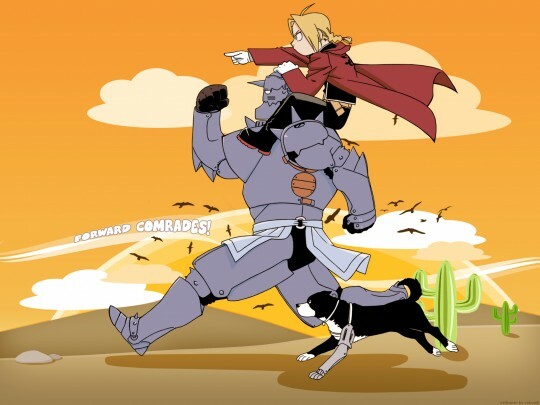 As some of you know, the 5th and final disk of Full Metal Alchemist Brotherhood just came out. In it are some hilarious outtakes. The ADR process in voice acting is a more segmented way of doing animation..and can lead to such hilarity in the outtakes. Unlike pre-lay that is used in American animation that has a table read and later a group read in the studio, ADR is one actor at a time so, sometimes you'll be hearing either the english dub of your co-actors and/or the Japanese dub while doing your lines...thus why when you see this video...it'll seem like everyone else is keeping on tune with their acting. Anyways, pardon the ADR explanation...check out this outtake clip from the disk. Do note that it's got very NSFW language and definitely some spoilers too. Next week I'm finally going to NYC to get my voice acting demo done ^_^...so I hope to join the ranks with the other anime voice actors soon and yes, come up with some of these bloopers for you, the fans.